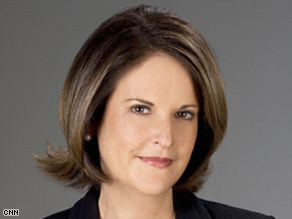 Editor's note: Gloria Borger is a senior political analyst for CNN, appearing regularly on CNN's "The Situation Room," "Campbell Brown," "AC360°" and "State of the Union With John King" as well as special event coverage. Gloria Borger says President Obama has been under fire on the deficit, health care, the economy and Iran. WASHINGTON (CNN) -- Even a popular president who still seems to enjoy the general goodwill of the American public can have a bad week. In no particular order, the administration has taken fire on these fronts: the deficit, health care reform, the effectiveness of the stimulus package, the message on Iran and, of course, the economy. Sure, President Obama remains well-liked, but some polls show him losing traction with those all-important independent voters. What's more, those who have health care have grown increasingly skeptical about the cost benefits of his wide-ranging and costly reform proposals. And then there's always this nagging question: Does Obama remain so popular because his Republican opposition is so ill-formed and disliked? All of which makes the case for a presidential press conference: Why not reset the table on a variety of fronts? There's no better way -- particularly if you're good at it -- to recalibrate or restate some positions. First, the recalibration. In his press conference, the president clearly decided to take a sharper tone with the Iranian regime, ramping up his indignation, if nothing else. It's not every day this ardently no-drama president uses words like "appalled" and "outraged" to describe events in another country, much less condemn the events there. Given the level of violence and repression and the shooting of a young woman, the president had no choice. "We must also bear witness to the courage and dignity of the Iranian people," he said. Yet carefully, he also made it clear the United States respects Iran's "sovereignty ... and is not interfering in Iran's affairs." His language may not be enough to completely assuage his critics. As ever with Obama, the discussion always comes down to this: Is he too calibrated, too icy, when some passion might be a good idea? Or is he doing the right thing as president, balancing outrage with realpolitik? As the president said, "Only I'm the president of the United States." What's more, he said, it is his job (and his alone, as opposed to those pontificating in the Senate) to "make sure we are advancing our national security interests." Period. We know where he stands on that argument. We just don't know if he's right. His next job in the presser was to restate, and in some ways reshape, the health care debate. The White House is well aware that the public -- not to mention Congress -- has some doubts about comprehensive health care reform. If this president is developing some kind of Achilles heel, it's on the deficit: Polls show the American public is worried about it. The dangerous corollary for the White House is that, as a result, the public won't get behind health care, which will cost, at the very least, around $1 trillion over the next 10 years. So it was no coincidence the president made health care reform sound like a savings plan. The current costs of our care, he said, are "the primary driver of our federal deficit" -- just in case we didn't get the message. And for those who are happy with their medical coverage -- a majority of the American public, in some polls -- he made it clear that their coverage could well change if health care costs keep going up. Not only will the federal government be unable to afford Medicare and Medicaid, he said, but your employers are likely to either cut back on your policies or raise your premiums if the status quo remains. "If we do nothing, I guarantee you won't have the same health care," he warned. And he had better keep doing it: A recent Pew poll shows 41 percent of Americans say the health care system needs to be completely revamped. Back in 1993, when then-first lady Hillary Clinton was pushing reform, that number was 55 percent. And her plan, you'll recall, went nowhere. That's why the president decided to use the bully pulpit to make his case. Whether it will work remains to be seen. But this much is clear: It won't be the last time.